Do Lips Need Special Care ? Lips or eyes, which catch your attention when you first look at a person ? Eyes first, then lips I would say. The two of them together define the beauty of a face. Well shaped lips and eyes can pale facial imperfections if any. They also perform a subtle function – they give you a peek into one’s emotions. I can’t think of one emotion that is not expressed without one or both of them curling up or down. They also tell stories, of our health, of how well we are nourished or otherwise. While I shall reserve eyecare for later, this blog post is about how to care for lips. But before that, a bit about lip facts. Our lips are enclosed within the vermilion border. Now what is that ? It is the line where our lips meet the surrounding skin of the mouth. The reddish or pinkish area within that border is called the vermilion zone. Of-course, not all lips are red or pink. Genes and race largely influence the hue of our lips. External factors also add to it and we will come to that soon. The skin of the lip is very thin compared to the rest of the face. There are no oil or sweat glands in the lips. Darker the skin, more the melanin content in the lips and hence darker lips. The lip skin therefore is a lot more delicate due to all of the above and it does need special care. As we progress in age, lips lose some of the plumpness and start appearing thinner, thereby diminishing some of our beauty. Reason enough to begin the lip care routine. Why do lips dry out faster than the rest of the face and why do they chap ? Because lip skin does not have sweat/oil glands and hair, it does not have the protective layer of sweat and body oils. Sweat and body oils keep skin smooth, inhibit pathogens and regulate warmth. With minimal melanin in the lip area, sun damage can happen very quickly. Prolonged periods in air-conditioned spaces, water sports, or rooms with room heaters can sap the lips of moisture. The skin of the lips has a particularly high concentration of cold receptive cells. Hence, when temperatures drop, our lips suffer a setback. Use of lipsticks. Chemicals like bromo acid present in long-lasting lipstick cause lips to dry. Contrary to common belief, licking lips dries them out. Resist the temptation to do so, if your lips feel dry. Darker shades of lip colours contain more lead and will darken lips. Avoid wearing dark shades on a daily basis, keep them for special occasions. And when you do wear them, remember to follow it up with healing lip care and that is what this blog post is about. Do Men Need Lip Care Too ? Yes, they do and for the same reasons as women do (minus the lipstick part in most cases). In fact, more men than women are out in the sun on two wheelers and they may need lip balms with an SPF. Have you noticed smokers’ lips ? Smoking is injurious to your looks too ! Smokers’ lips get dark and dry due to the tobacco and tar, cigarette heat, capillary rupture and lack of oxygen. The best way to minimise the damage is to quit smoking, but if you aren’t one of those to kick the habit, the least you can do is to take care of the lip skin. Exfoliate using a lip scrub and apply lip balms everyday. Women smokers have the advantage of concealing darkened lips with cosmetics, but men-folk you need to pick up the good habit of lip care today ! How To Take Care Of Lips ? Drink the proverbial 8 glasses of water. Just like the rest of the skin, lips need exfoliation too. Use a lip balm to keep lips moisturised. Use lip balm before applying lipstick. Use gentle natural cleansers to remove lipstick. You can use an oil based cleanser to do so. What Products Are Good For Lip Care ? Without a doubt, natural cleansers. Lip skin is delicate and tender. So, avoid using harsh chemical-laden cleansers to remove lipstick, which is already full of chemicals ! Why add more ? Astrea has the following natural lip care products. They are safe, gentle and in fact, nourishing as they contain botanical extracts and essential oils. Even their lip tints have plant-based pigments and contain no artificial colouring. 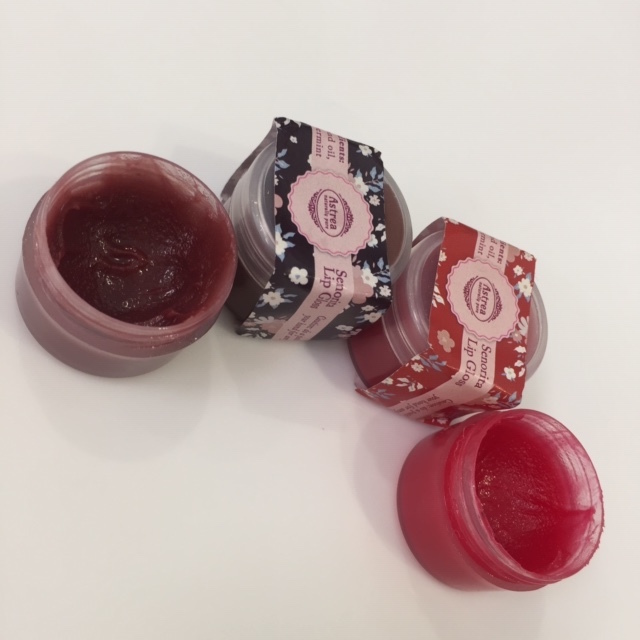 Soft is how this lip scrub leaves you feeling. Enriched with orange oil, sugar, aloe vera and olive oil, it brightens the lips and helps lighten pigmentation. How to use it ? There are two ways of using it. One is to regularly exfoliate lips once or twice (depending on how chapped your lips are) a week. The other is to use it to remove lipsticks. In both cases, take a small amount on your fingertips or a tiny bowl. Gently rub the scrub in circular motions covering the entire lip area for about 30-40 seconds. Do not put pressure or scrub too hard (remember lip skin is delicate?). Wash with tepid or normal water. Lip balm is like manna from heaven to cracked lips. It smoothens out dry and chapped lips, heals and calms the lips after the onslaught of cosmetics and environmental toxins. Apply lip balms as often as you think is required, but do choose those with natural ingredients. Lips need healing and nourishment and only natural lip care can provide you with both. If you do not have access to natural lip care, then buy those prescribed by your dermatologist, because they are safer than OTC ones. Astrea’s Strawberry Bubblegum Lip Balm has beeswax, shea butter, jojoba oil, spearmint and berry extract. Looks like a perfect soothing balm to lips. Beeswax is great at healing dry, cracked lips. Not only heals but prevents the condition too. It is also a great moisturiser. Shea butter, like beeswax has healing properties too. It softens and repairs skin along with enhancing collagen. Spearmint has calming, softening, toning and anti inflammatory effects on the skin. Its anti-microbial and antiseptic too ! Make it a ritual to apply lip balm before you go to bed after removing all makeup. Astrea’s Senorita Lip Glosses come in two shades, red and brown. You can wear them on top of your lip colours or by themselves. Worn alone, they give a natural healthy look to lips, with just a hint of colour. These days, liquid lipsticks have become popular for the sheer convenience of application, but they are drying at the same time as opposed to cylindrical creamy ones. Hence, carry this Senorita Lip Gloss in your bag and keep touching up your lips with the gloss – they kind of minimise the dryness and make lips feel comfortable. They are enriched with jojoba oil, castor oil, beeswax, peppermint oil and natural colours. In shades of brown and pink, these lip tints can be your go-to natural cosmetics when you do not want that heavily made up look. Or when your lips are dry and need some pampering. You can even wear them to the gym or a condolence meeting – they are that subtle ! 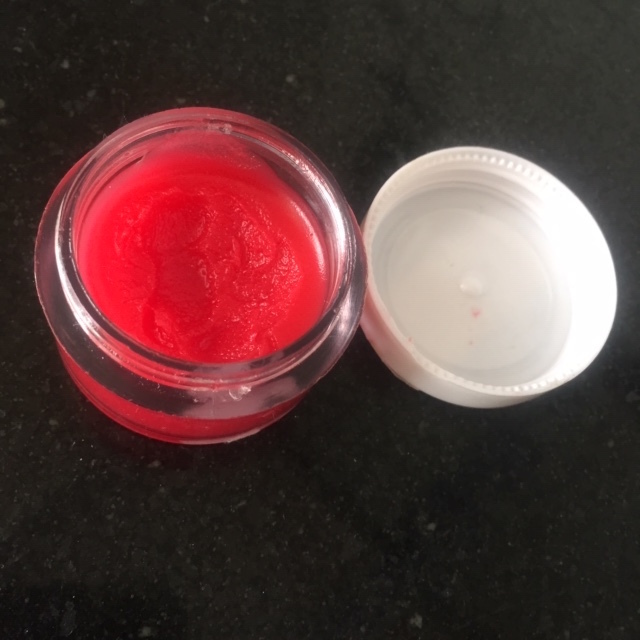 I have been meaning to write a blog on lip care for long now, for I have noticed that many, even in these times when personal grooming is topping the list of lifestyle habits, still do not pay much attention to lip care. Came along Astrea in my skin care regime along with their lip products and the blog shaped up. 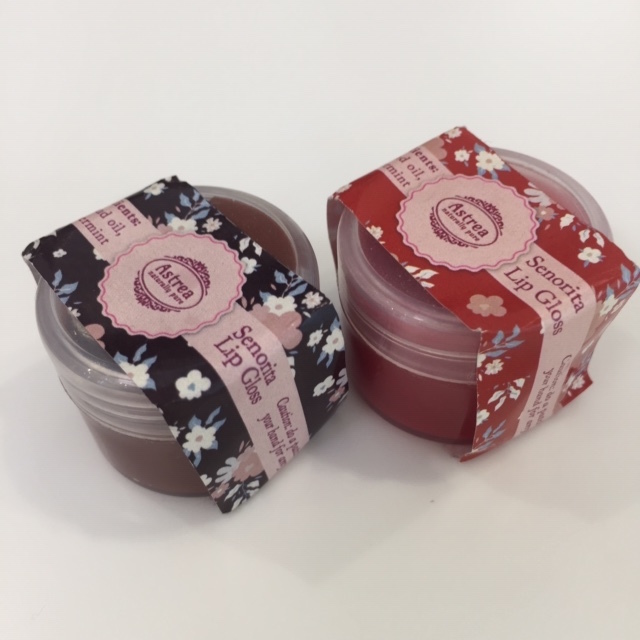 Hope you all like the lip care facts and ways to keep your lips soft and lovable ! If you want any of the Astrea products, here are the details. Astrea will be happy to customise lip care combo offers for you. @WhyToStop, thank you for liking my post. Your post on blogging tips is so useful. Thanks for sharing !